It’s almost time for Galentine’s Day. If you’re a “Parks and Recreation” devotee, you know that Feb. 13 is the holiday that’s “like Lillith Fair, minus the angst and plus frittatas”—or so says lead character Leslie Knope. In fact, one of the show’s singular charms was its sweet and sincere celebration of female friendship, so it’s no wonder Galentine’s Day has since grown into a pop-culture phenomena. Now a growing number of women, single and otherwise, are celebrating the same with their best gal pals on or around Valentine’s Day each year. Sound like a great idea? 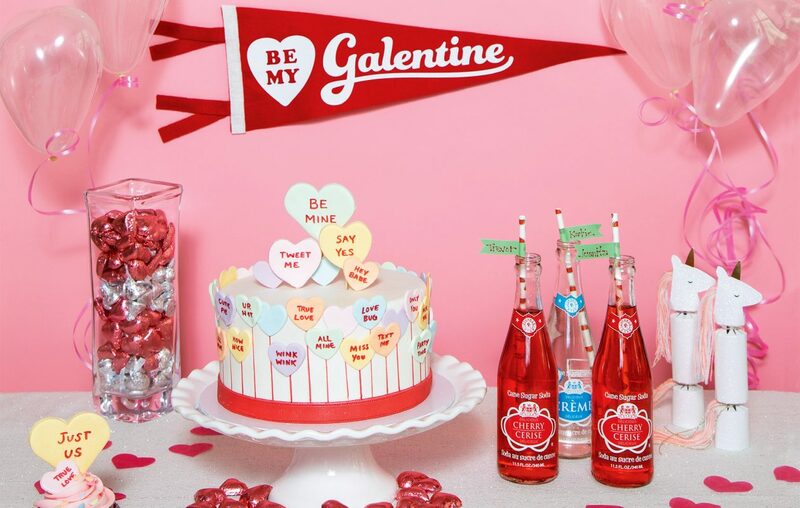 Here are some ways to add a Galentine’s celebration to your life. Be authentic, and go with brunch. On Parks and Rec, the first Galentine’s Day was all about the mimosas. If you’re a purist, gather a group, pull out your waffle maker and host a brunch at home…or even easier, pick somewhere to meet and let someone else do the work. Recommended: Betty’s (city), Carte Blanche (Southtowns), Break ‘n Eggs Creperie (Northtowns). Craving sweet inspiration? We filled our Galentine's table with local goodies—conversation heart confections by Dessert Deli, Johnnie Ryan sodas (found at Tops), Alethea’s pink heart chocolates and a custom-made Oxford Pennant—and a touch of whimsy with unicorn party crackers and mini-heart balloons. Plan an old-school night out. Forget Uber. When was the last time you did a full-throttle night out with limo, multiple stops and unlimited cocktails? Sure, it’s slightly cheesy and may induce post-traumatic prom flashbacks, but with the right group you really can’t go wrong. Hit Buffalo’s latest hot spots, like Tappo’s new rooftop igloos or the urban hot springs at the Curtiss Hotel. Do something constructive. Take a chakra class, go to a makers night or attend a lecture—Galentine’s is a great excuse to grab a pal and expand your horizons. One idea: on Feb. 13, Winkler & Samuels hosts a Galentine’s-themed tasting party featuring female winemakers. Hunker down. It IS February, so a rom-com marathon from the comfort of your own couch is a completely justifiable option—with the gals, of course. Pop some corn—and Prosecco—to make it special.